I'm about 80% sure i will be buying another motorbike in the next month or 2 (just depends when i can find a decent deal), the trouble is i have nowhere i can park it safely, from either some git who may want to nick it plus the disgusting little rug rats round here who may want to climb all over it, so i'm looking at some kind of CCTV system. The trouble is I only a single window that i can use to mount the camera and that is my bathroom and the only mains socket in the is the 2 pin shaver socket so mains supply is not great to it, i would like wireless for data as wiring round the flat is a nightmare but i'm unsure on what kind of technology i should use, I want it to be able to cap both day and night, plus audio and it would be helpful if it had some kind of app to work on android. The bike will be parked where the black car is and will be right up against the wooden pole and chained to that, plus i'm also hoping to get some kind of anchor point on the floor to chain it too further, but to be honest i don't think theft is going to be my main problem, it will be the kids stopping them jumping all over it, the bike will have a proper bike cover going over it along with a waterproof tarpauling that will have eyelets going round the bottom and this will all be drawn together with a cable lock to stop them getting under the cover and getting in that way. In a nutshell i want to be able to have proof for the mums and dads that there loved one has been climbing all over my bike and just get them to stop, budget is about £100-£200. In all honesty mate, for 100-200 you're not going to get anything that's any good, both in terms of picture quality and reliability ! I'd be more inclined to spend the money putting a gate in, and keep it in your own yard. That's not my garden DJ, i have no garden i'm on 1st floor flat so screwed as far as storing it anywhere, if £200 is no good how much should i be looking at? Whereas it may not be state of the art there are plenty of security cameras out there that work with security recording software and as long as you are happy to have you're pc running 24/7 can give very acceptable results. Most have definable motion detection areas and the quality depends solely on the quality of the camera used. £100-£200 will get you a cheap cctv standalone system (4channel +) a good quality camera is about £60-£100. The camera can be mounted on a wall, run a cat5 cable from the cctv system to the camera. The 4 pairs are then used to power the camera and for video feed. Pair 1 - VIDEO+. Pair 2 - VIDEO-. PAIR 3 - POWER+. Pair 4 - POWER-. depending on the camera you buy you may have to fit a BALUN, this converts the cat5 to a BNC connector. The same connector will be used on the system end to input the signal to the BNC input on the system. You then connect the power supply at the system end too. Sound complicated but pretty simple. You see using cat5 or any kind of wiring would mean running cable right through the flat and that is a major pain in the rear for me, hence looking for some kind of wireless, i can power it from either shaver socket or inside water cupboard where my water pump is and run something off that as i say to power it, but wirelss would be a much better option for me. I have just purchased a couple of cheap Tennis camera's for £30 each for the house, they are okay but quality is lacking obviously at this price, I am looking at putting up CCTV outside myself, so I will have a look around and report back if I find something, but I am also looking at the wireless options. OK cool let me know if you come up with anything Jamer. Looking at CCTV for myself.. Only really had a brief look over the past few days. IP Cameras definitely seem the way to go. There's a handful on ebuyer if you're looking for ideas. I'll just be using my NAS as the 'NVR'. The cameras can be setup to record on detection of sound / movement / between certain times as you'd expect with regular cameras. The £100 ones don't offer motion tracking, you'd have to spend a bit more for that..
As well as saving to NAS you can have it encode at a lower bitrate and email you clips, or host them on external FTPs. some of the newer one give you licenses for 2 cameras. A 2-3TB one will get you 2-4 weeks of recording before it starts to recored over the top of what you have. 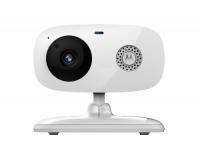 Supports POE / 1920*1080 25fps / ONVIF protocols. So where do we stand on this guys? Has anyone bought and found a decent set up yet? I do need a decent camera to be able to ID someone's face from about 30 feet away, waterproof. Anyone suggest a set up or a shop or online dealer to talk to that knows there stuff. I have 2 x new (used once) Tenvis IP cameras for sale if anyone is interested £20 each, plus PP. Let me have a nose at some reviews and come back to you, i know sod all about IP cams, do they just stream to the router and feed gets saved on hdd or something on those lines? What model numbers are they Jamer? Surprised how cheap they are to be honest Jamer what is the image quality like both day and night? 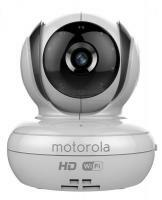 Not bad but I also recently purchased some Motorola Focus HD WiFi camera's and they are superb! !